Romain Grosjean says he knows for a fact next year's Lotus will be more competitive than his 2014 car. Lotus struggled to just 10 points over the course of the season with a car aerodynamically flawed and down on power. Next season the team will ditch its Renault power units for the more powerful Mercedes engines and Grosjean is sure the chassis will also be significantly improved. "There are a few things," he said. "I've said for a long time, even before I knew I was staying here, that the car would be better next year. I know that for a fact from the engine, which has more power, and the car in the wind tunnel that I have seen it's going to be better." Asked how the car looked, he added: "It looks very nice. It's not a twin-tusk nose!" 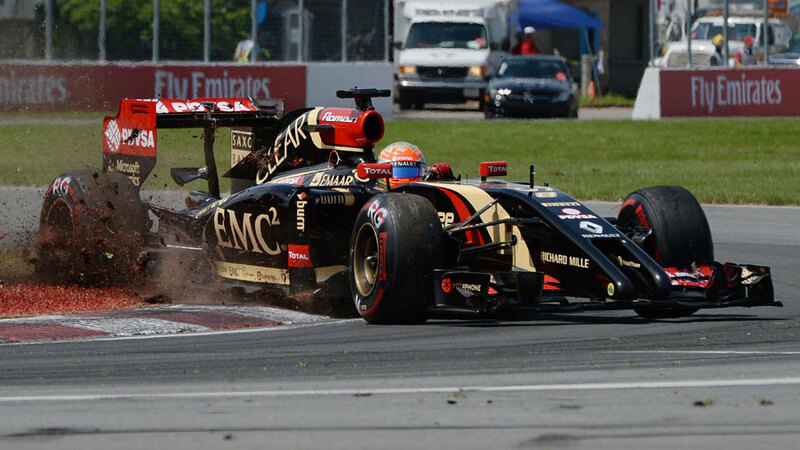 Grosjean believes he will also come back stronger after a year trying to adapt to his recalcitrant Lotus. "Probably [I've improved this year] and I will be even more next year after the break. You have the time to process and rest yourself, I'm sure I've learned a lot. My driving has been changing as the car is the opposite of what I normally like and you try to force yourself to do things that you are not doing normally and just go from there."